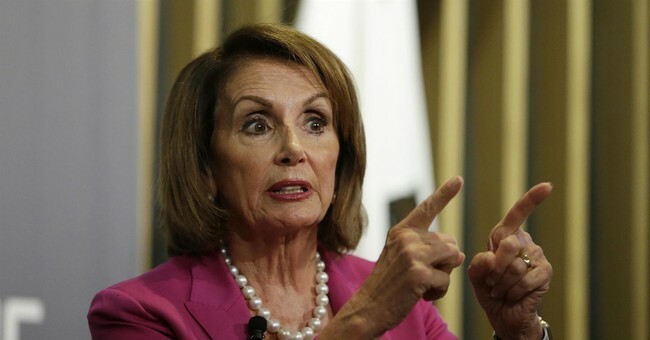 Nancy Pelosi is now looking for revenge against Democrats who worked to keep her from regaining the speakership, POLITICO reported. Her primary target was Rep. Kathleen Rice (D-NY), who lead the charge against Pelosi. During a closed-door meeting on Tuesday night, Pelosi made it clear she didn't want Rice to serve on the prestigious Judiciary Committee. The entire New York delegation reportedly came to Rice's defense, arguing that she has the most seniority and her background as a former prosecutor made her more than qualified for the position. Pelosi recommended several freshman over Rice, saying there were already enough representatives from the New York delegation on the committee, referring to Rep. Jerry Nadler, and House Democratic Caucus Chairman Hakeem Jeffries. Rice supporters took issue with Pelosi's argument because she recommended freshman Rep. Debbie Mucarsel-Powell from Florida, even though Reps. Ted Deutch and Val Demings already sit on the committee. This isn't the first instance of Pelosi getting even with those who tried to keep her from being the highest Democrat in power. Freshman Rep. Anthony Brindisi was blocked from being put on the Armed Services Committee. He campaigned on opposing Pelosi's anticipated speakership. He followed up on that campaign promise by voting for former Vice President Joe Biden as speaker. Brindisi's delegation was upset but because he's a freshman, there was no sense of urgency in fighting Pelosi on the issue. Even though Pelosi said she wouldn't punish those who lead the charge against her retaking the speakership, she decided to break that promise. It's the same promise that put her back in the speaker's gavel back in her hand.